In today’s competitive media landscape, the demands of enlightenment, creativity and distinction emerge. Huge shifts in viewership habits have been occurring right under traditional media noses. Then the rhetorical question pops up: Who actually still watches the news on TV? Do you? The shift in viewership has been discussed over the past few years, including at respected international media forums, such as this year’s Asia Pacific Media Forum. Ann Mack, the director of Facebook insight marketing, revealed that there were 100 million hours of online video viewed daily. The time spent watching videos on Instagram had increased by 80 percent in one year. Forty-two percent of the respondents plan to watch more online videos by 2019. Instagram Indonesia country director Sri Widowati revealed that as per the first quarter of 2017, no less than 45 million Indonesian were logged on to Instagram, making Indonesia the biggest market in Asia-Pacific. The massive figure was also reflected in content creation, especially on Instagram Stories. Indonesian Instagrammers produce twice as many Instagram Stories than the global average. Currently, Instagram has reached 1 billion monthly active users. It recently announced its new feature, Instagram Television (IGTV). The feature is expected to be a close competitor to YouTube and traditional television. Now Instagrammers are able to upload videos up to one hour long for IGTV, which will display them vertically, the way people naturally hold their phones. Is this the end of YouTube? We will see. In a Digital Report Survey held by Hootsuite & We Are Social in 2018, active social media users in Indonesia by January 2018 is 130 million people. Thus, the penetration reaches 49 percent. Consequently, it has noted that since January 2017, active social media users has increased by 23 percent. This survey also reveals that users choose to access the web via mobile phones (72 percent) over laptops and desktops (26 percent) and tablets (2 percent). As expected, the average daily time that people spent using social media is longer than their daily TV viewing time. According to the survey, respondents use social media for an average of three hours and 23 minutes per day. While they watch less TV at two hours and 45 minutes per day. Thus, media professionals have recognized these shifting patterns and have started to innovate their business model and how they deliver the news. Now we see more and more news persons doing lives on Instagram to deliver real news, not just sidebars or behind-the-scenes coverage like in the early stages of the social media trend. We are seeing reporters and presenters doing their selfie journalism through Instagram live from the scene. To journalists, going live on Instagram means speed and practicality. As long as they have internet, all they need to do is simply click on their smartphones to go live. Surprisingly, the less staged composition and the imperfection of audio video quality somehow attracts more viewers. Others who are in love with this platform are celebrities and public figures. They no longer need to be invited to a TV talk show to win the audience or fans. All they need to do is to go live on their Instagram accounts, and they can have warm chats with their followers, to be able to exchange ideas, and literally just have some engaging moments with them. Currently we see more and more politicians doing Q&As live on Instagram, addressing their programs and visions, as well as responding to haters critics. In terms of interaction, their followers can easily drop messages on their inbox, or join a live chat with their idols. Somehow the engagements, the less staged and the imperfection of the visual bring more natural ambience to the figure. Therefore fans or followers would feel more relaxed and intimate with their idols. 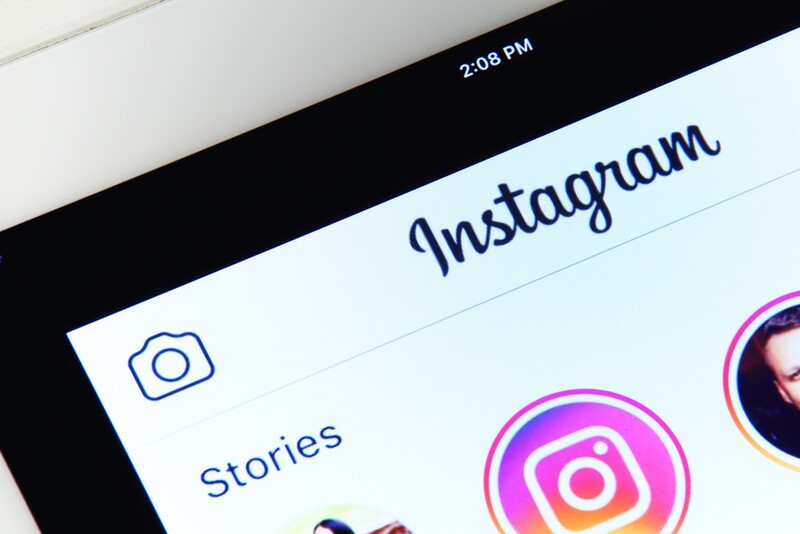 Most news publishers and celebrities have Instagram Business accounts which are connected to their Facebook Fan Pages. They need to have at least 10,000 followers to be able to share links in their Instagram Story, or when the account has already been verified by Instagram. By having business accounts, they can access real time analytics and insights on their activity engagements, the likes, the shares and comments. Having learned from these data, news outlets and public figures can determine which content will bring the most engagement and come out with some improvements in their upcoming posts. Now we see lots of news highlights and infographics from news publishers on both Instagram feed and stories. And they are real news, delivered by professional journalists, some even verified by the platform. The content were not produced by amateurs or irresponsible sources who spread rumors and hoaxes via social media platforms. News outlets have somewhat found their new platforms to expand both their news coverage and delivery, that is through social media. In the end, all we need is digital wisdom. Living in the era of disrupted information, flood of platforms, we are obliged to be digitally sane. I am certain that when used wisely, all technological and digital enhancement will make us better human beings. New features of social networks allow us to access more information than before. And those information will enrich us with insights, to effectively accomplish our daily tasks. But without digital wisdom, these benefits will not last. Jati Savitri is a broadcast and digital journalist, head of content enrichment and social media at Medcom.id. She can be reached via Linkedin: Jati Savitri and Twitter @jatisavitri.